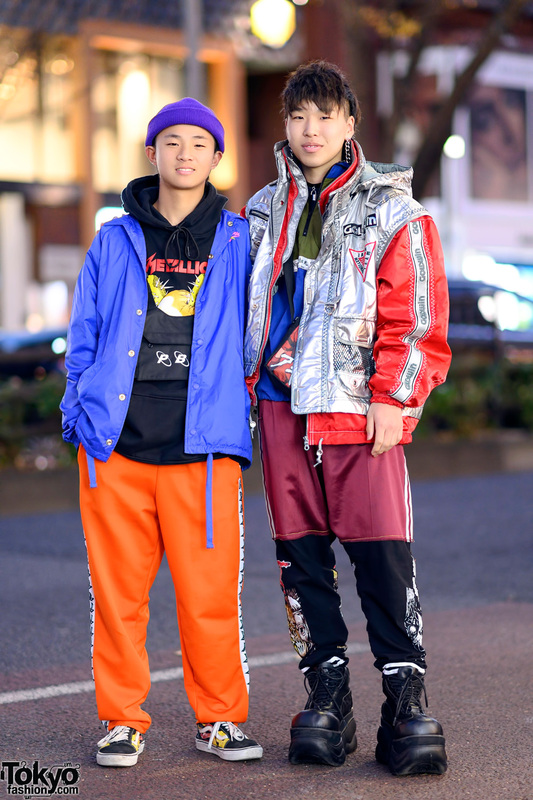 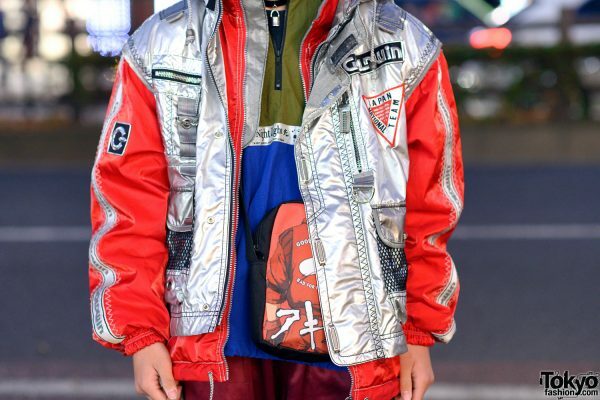 While out on the streets of the Harajuku neighborhood, we came across Rion and Shunsuke, two 16-year-old Japanese students whose individual colorful streetwear styles easily caught our attention. 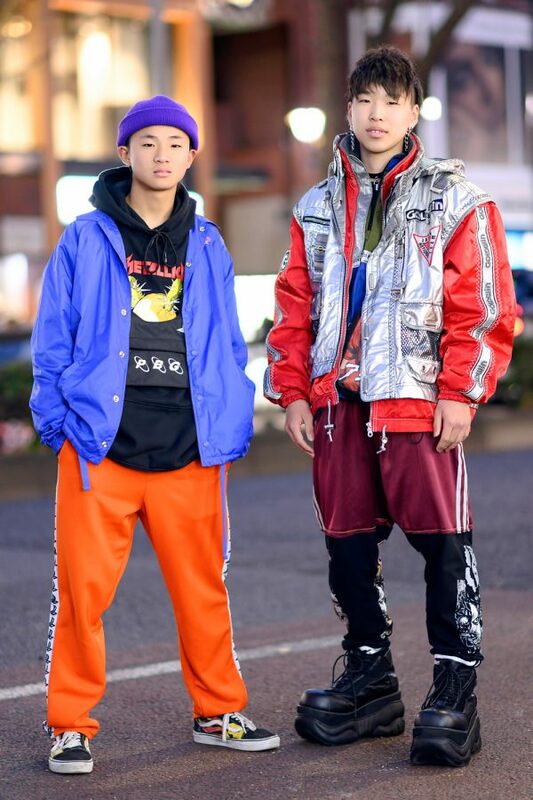 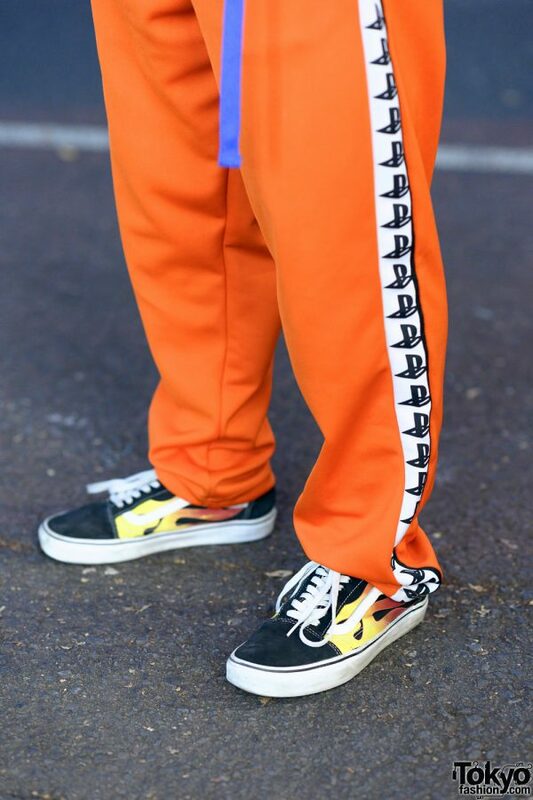 At the left is Rion, whose outfit consists of a purple Reebok button down jacket, worn over a black Metallica hoodie sweater, and paired with orange track pants with printed side strip details from Pretty Boy Gear. 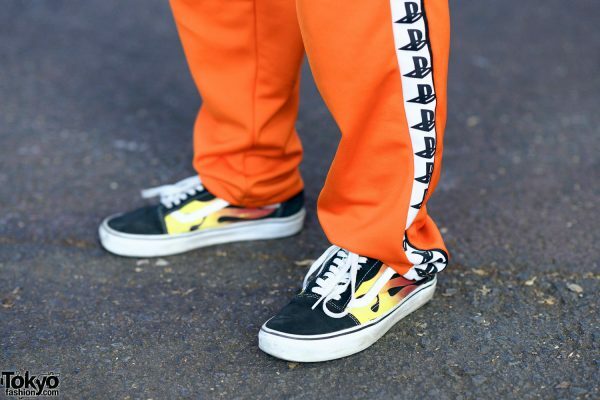 Black suede sneakers with flame prints from Vans, a purple ribbed beanie, and a black waist bag from Pretty Boy Gear rounded out his street style. 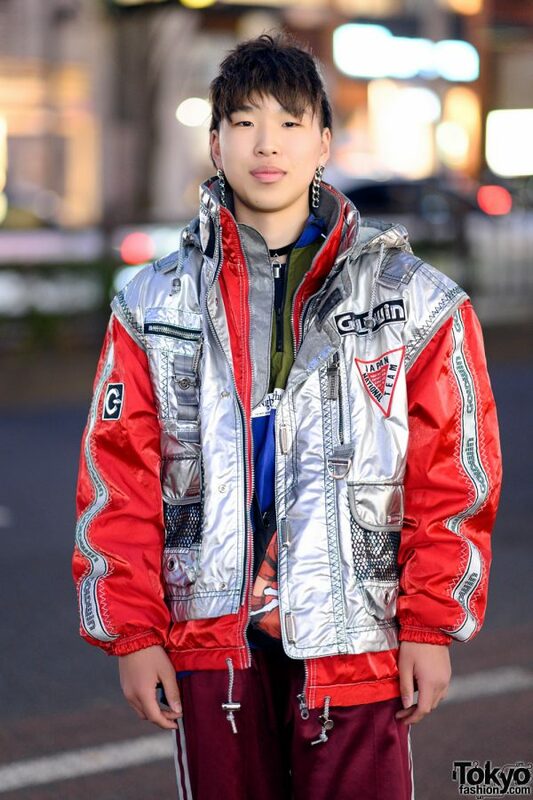 Stadium and Pretty Boy Gear are two of Rion’s favorite fashion brands, and he listens to the music of Tsubaki. 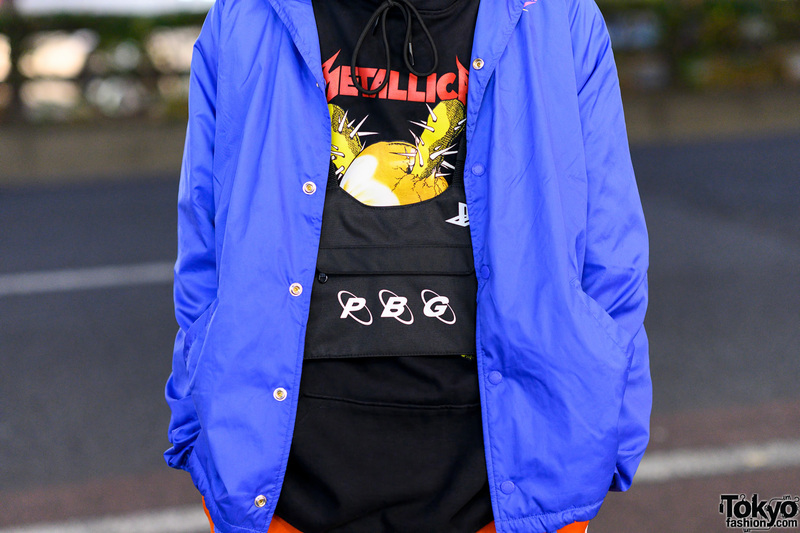 Follow Rion on Twitter and Instagram. 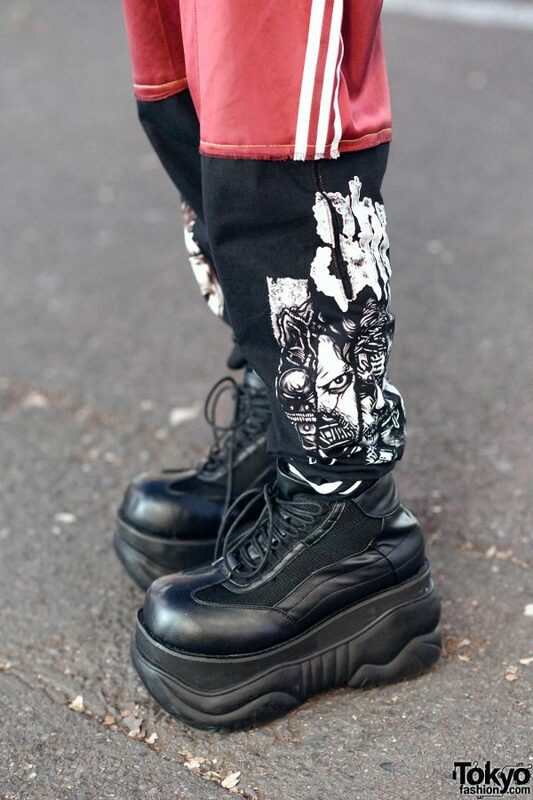 Meanwhile, Shunsuke stepped out in a metallic silver-and-red jacket with contrast stitching and print accents from Dog Harajuku, worn over a colorblock zip-up top from Warp, and red-and-black track pants with white side stripes and graphic prints from Dog Harajuku. 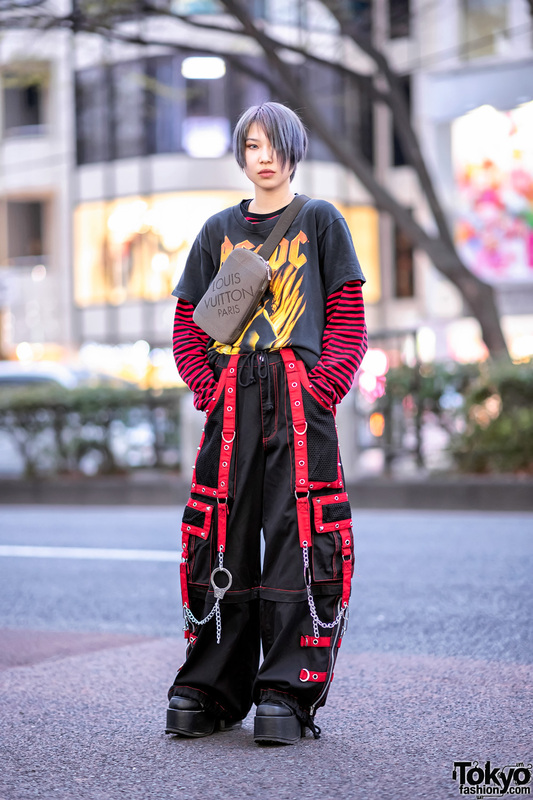 He finished off his eye-catching look with black platform lace-up shoes from Demonia, silver chain earrings and a black choker with a silver lock pendant, both from Warp. 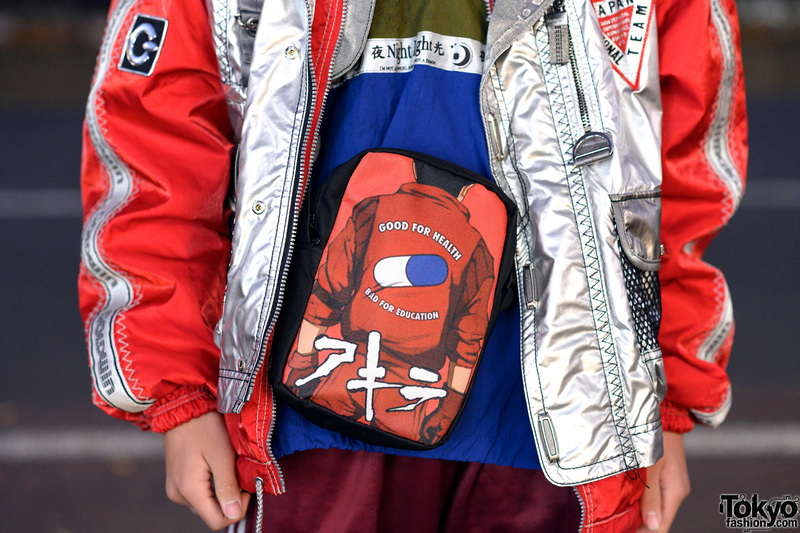 In addition, Shunsuke is carrying a red printed Akira sling bag. Shunsuke’s fashion favorites include Never Mind the XU and Dog Harajuku, and he likes the music of OZworld aka R’kuma. 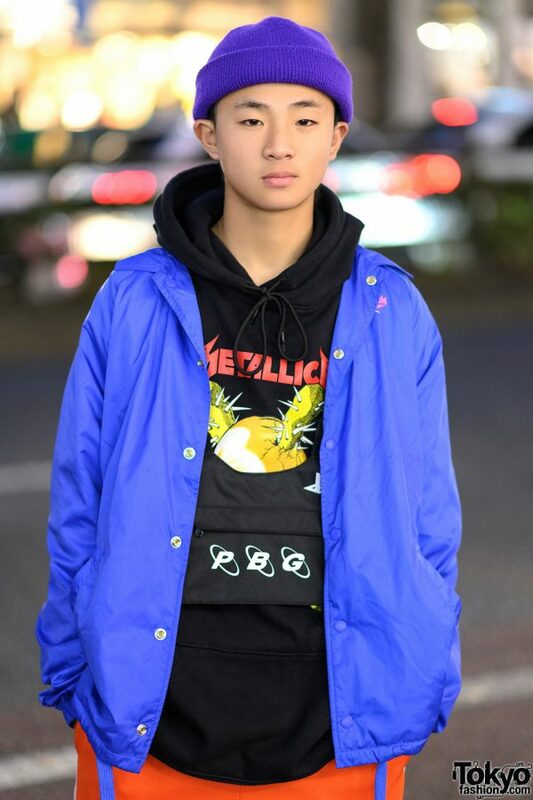 Shunsuke is also active on Twitter and Instagram.